In recent years, an international movement to embrace “ugly” produce has started to take root. The idea is simple – by using the edible, but slightly less beautiful fruits and vegetables that are often discarded or never even harvested, we can decrease food waste and feed more people. Some of the United Kingdom’s biggest supermarkets have embraced this concept. Here in the United States, while some charities and food banks have been doing this kind of work for years, many American businesses are just starting to consider the problem and potential of ugly produce. Irregular produce is wasted at all levels of the food system, according to the Natural Resources Defense Council. Pickers are often trained not to pick fruit that isn’t up to quality standards in terms of shape, size, color, and time to ripeness. If it is picked, it might get “culled,” or pulled out for not meeting those same standards. Some of this rejected food is sent for processing or to feed animals—if it doesn’t spoil first—but a strangely shaped vegetable, like a bent cucumber, might not meet the processors’ standards either. Finally, we consumers tend to choose the best-looking produce at grocery stores and leave behind the not-so-perfect ones. All of this picking and choosing is a major factor in the 40% rate of food waste in this country. In the U.K., Waitrose and Tesco were two of the first large chains in the U.K. to embrace ugly produce. Since the EU relaxed strict rules on produce appearance in 2008, it has become even easier for stores to carry produce with cosmetic imperfections. Last year, Sainbury’s, another large chain of supermarkets, began to sell and promote ugly fruits and vegetables, standing by their commitment to take 100% British crops when a season of unpredictable weather created a bumper crop of ugly produce. In the U.K., 20-40 percent of produce is rejected because it’s misshapen, according to the Soil Association, so there is still work to do, but influential stores like Waitrose, Tesco, and Sainsbury’s will make a huge difference in public perception. 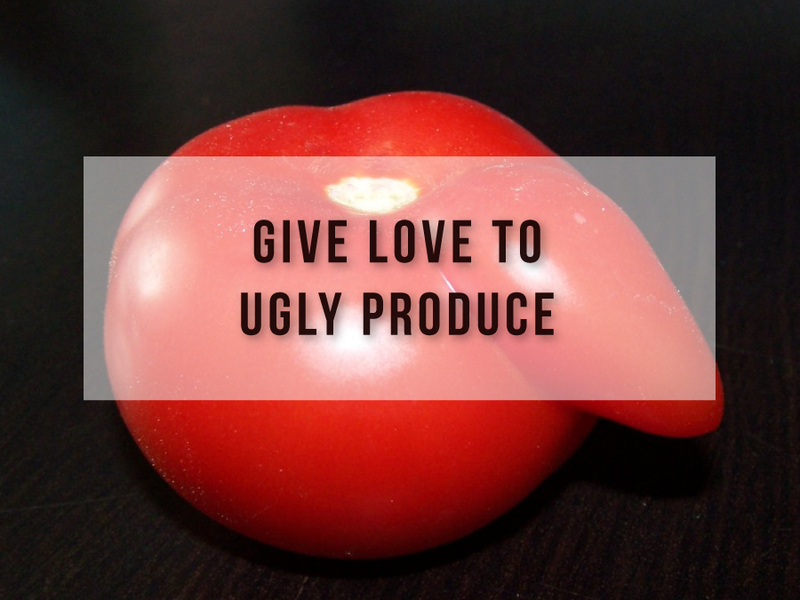 One of the most interesting pro-ugly-produce campaigns in Europe is Ugly Fruits. Started by German students, Ugly Fruits argues that selling imperfect produce isn’t just about sustainability, it’s a business opportunity to use that huge amount of wasted food to make a profit. The campaign uses beautiful photos of quirky produce to urge consumers to choose more misshapen food, but also wants to encourage stores to carry more of the wonky fruits and vegetables so people get used to seeing it. After meeting with some resistance from grocery stores, the group has floated the idea of trendy Ugly Fruits supermarkets, where unusual looking produce would be featured and promoted to the public. Here in the U.S., some entrepreneurs look at our embarrassing rate of food waste domestically and also see a business opportunity. One such entrepreneur is Doug Rauch, the former president of Trader Joe’s. His latest venture is Daily Table, a new market whose first location will be opening next year in Dorchester, Mass. The market will be a supermarket-restaurant hybrid, strategically placed in under-served areas to provide high-value nutrition at reasonable prices. The food will be made from ingredients that have traditionally been wasted, like blemished or otherwise imperfect produce and items that are only one day past their due date, and therefore perfectly edible. Rauch’s goal is for prices at Daily Table to compete with those of fast food. “I think that the issue here is really how you talk about it and how you educate. Other American businesses are making an effort to utilize ugly produce that might otherwise be wasted. Greenling, a local food grocery delivery service in Texas, sells “seconds” that have slight physical defects. Grocery Outlet, a growing franchise of discount stores in the West, sells closeouts and overruns, including produce. The grocery delivery service Fresh Direct gives their produce a rating from one to five stars, so customers can choose from five-star perfection down to one-star inconsistency in their produce. Freezing fresh produce with slight imperfections is another way some small businesses are making use of the entire harvest. A blemished tomato can still make excellent frozen tomato paste. Many factors contribute to food waste, but chief among them is the fact that we tend to “shop with our eyes,” so imperfect produce is rejected both at the wholesale, retail and consumer levels merely because of the way it looks. This results in huge amounts of food wasted that could otherwise be used to feed people. It also results in the waste of resources like water and oil that went into the growth and production of that food. 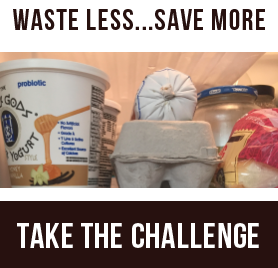 The NRDC offers these tips for doing your part to decrease food waste. We believe that with focused and concerted efforts, we can simultaneously increase food production and decrease food waste to fight food insecurity and create a more sustainable America into the future. One way to do this is to find new ways to keep ugly produce in the food system. What can you do? Next time you see a wonky tomato or two-legged carrot, give it a second look—and maybe even a little space in your grocery cart.